Can You Show Me Your GOTS Organic Certification? 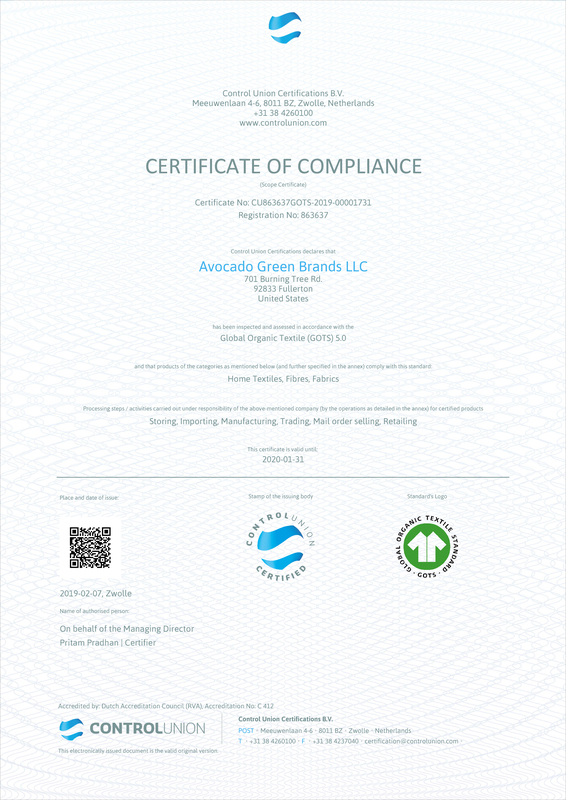 Yes, you can view our Certificate of Compliance, Label Grade and our profile on the GOTS public database. 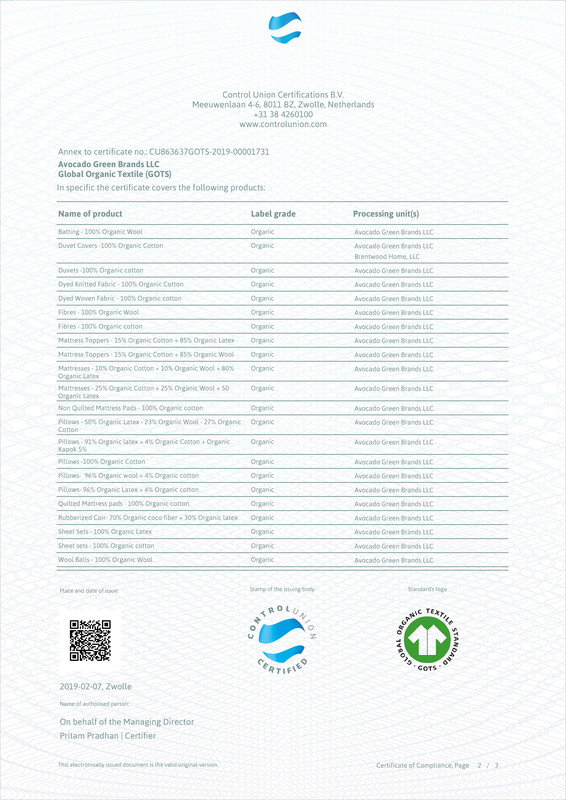 To view our certification, categories and product specifications, view our public profile on the Global Organic Textile Standard database.